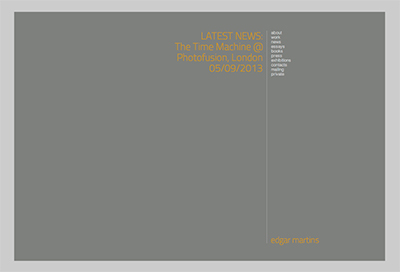 The Time Machine will be presented at Dubai Photo Exhibition. A photography showcase of unprecedented scale and caliber, Dubai Photo Exhibition will be held from 16 – 19 March in a purpose-built ‘temporary museum’ at the Dubai Design District (d3), one of Dubai’s exciting new creative hubs. The exhibition will be featuring over 700 artworks from 23 countries, chosen by 18 of the world’s top curators and lead by Head Curator, Zelda Cheatle.